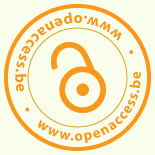 As a part of the international Open Access Week 2018, Belgium universities host a series of lunch-time webinars. Themed “Everyone on the road to Open Science”, these online presentations will cover different topics concerning Open Science aimed at PhD’s, researchers and research supporting staff. October 23, 12:00-13:00 | Register here for the Webinar: How to achieve OA to publications and books? October 24, 12:30-13:30 | Register here for the Webinar: How to achieve FAIR data and good Research Data Management? After registering, you will receive a confirmation email containing information about joining the webinar. The day and an hour before your selected webinar you will be sent a reminder email. The webinars will last an hour with time for questions. Can’t make it? No problem! The sessions will also be recorded and be posted here after the event. To address problems with the peer-review process, many journals have experimented with different types of peer-review models. Open peer review was adopted by several journals in order to encourage transparency in the process, and there are now a number of different ways in which this is implemented. Research findings funded with public money belong to the public. Everyone should be able to access them electronically and free of charge, and to make use of them if they so wish. The researchers themselves stand to benefit the most from open access: their results will be seen by more people. And they will have unrestricted access to the publications of their colleagues. But how to go about making publications and books Open Access? The FAIR principles outline four broad requirements for effectively sharing research data: Findability, Accessibility, Interoperability and Re-usability. This can be realised by good research data management to make research data discoverable, accessible and understandable in the long term. This webinar will explain the principles behind FAIR data and how to organise data to ensure reliable verification of results and long term preservation. One of the advantages of Open Access is that Open Access enhances the visibility and impact of one’s work, as Open Access articles are downloaded and cited more frequently than articles from non-Open Access journals. But can OA advance your academic career when impact factors are still an important factor in evaluation? This webinar will focus on the reputation of OA journals and books and aims to evaluate the current knowledge on the impact of Open Access. Various funders which provide research funding are actively involved in the field of open science and reflect this in their funding programmes, requiring open access to publications and research data. The section provides an overview of the open science requirements and how to comply with them stipulated by selected funders and organizations: H2020 & ERC, FWO and F.N.R.S. Furthermore this webinar will explain the legal aspects of Open Science, with special attention to the new Walloon OA decree en the Belgian OA provision.